My Dad helped me make this for storing my necklaces I thought id share it with you guys as it is so simple and cheap. 3. Next with a ruler and pencil evenly space out where you would like to place your thumb tack and then simple hammer them into place. 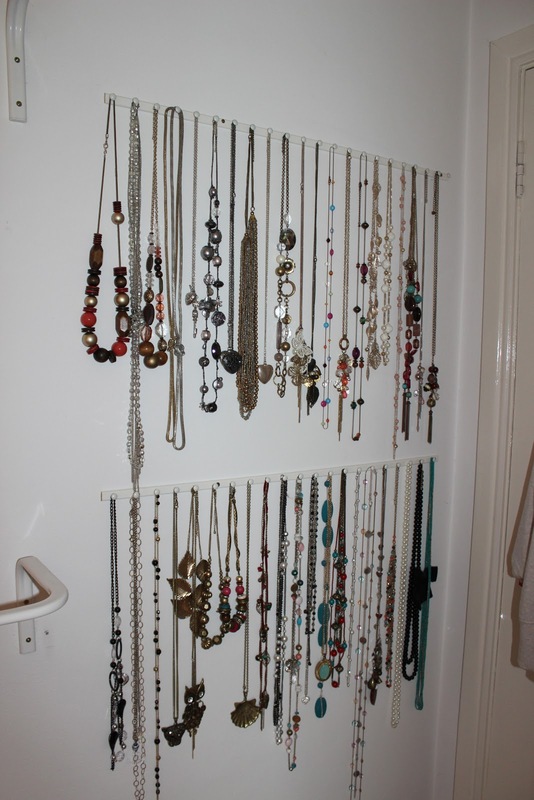 OOh Im going to take inspiration from this - I need storage like this! such a lovely idea :) now you can see all the jewellery you need without unravel a knot of jewellery :D I need something like this :') definitely! This is really handy! Loving this idea, if i didn't already have a necklace holding stand i would've done this. Love it!